This is a nationally / internationally important project headed by Dr Simon Rennie, Lecturer in Victorian Poetry at the University of Exeter and English Department Widening Participation Officer. On 22nd August, 2018, a group of made up of members from U3As in Bolton, Bury, Tameside, Wallasey and Chester took part in training at Manchester Central Library. This was led by Drs Simon rennie and Ruth Mather, wh are leading the research project. The training explained the subject focus and the system of recording, and will enable members undertake their own research, and also cascade it within their own groups. 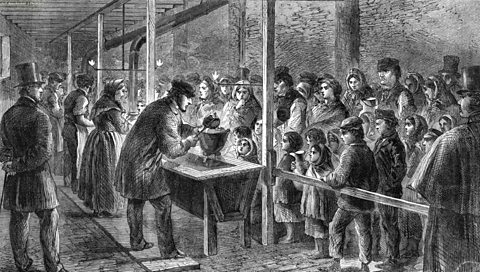 The Poetry of the Lancashire Cotton Famine, 1861-65 (website http://cottonfaminepoetry.exeter.ac.uk) can be accessed online by anyone free of charge and will grow in size as new discoveries are added. There has been media covergae of the Cotton Famine Poetry Project in national newspapers, on Radio 4 and on regional TV. For more background, listen to the 15-minute interview with Simon, below.